WISSA was supposed to be in Quebec this year. We had a written proposal from a qualified organizer, but for some reason, they had to back out. We had a potential back up with http://www.fishlakeiceboards.com/2014-sturgeon-stampede/ but they were not ready to do it on short notice. Picking up the short notice mantle, out steadfast friends from Russia put together a World Championships against all odds. Against the backdrop of the Putin/ Sochi games, and in an environment where sponsorship funds are scarce as hen's teeth, our friends in Russia are saving the WISSA games by hosting them in St. Petersburg, Russia. It has not been easy for them, and WISSA owes them a great debt of gratitude for rescuing what could have been a disastrous situation***. We are heading out to Fond du Lac, Wisconsin, to meet with the Tourism & Convention Bureau folks as well as the organizers of the Sturgeon Stampede. Klaus Faisst [organizer of 2 WISSA events, and attendee of almost all WISSA events since 1991] is coming in from Toronto. Together we will try to arrange for WISSA 2015 to take place in Fond du Lac. Rick is coming from MA, Dicky and Wendy are coming in from Kodiak, AK, and Riçards Leipens is coming from Riga, Latvia to run the Short Track Slalom [STS]. Riçards organized WISSA 2009 in Riga and is very active in the European scene. With his help, I think that we can secure the event for Wisconsin next year. WING SAILORS! If you have never tried STS, you are missing something really great. We are trying to get together a group to do it on Sunapee, but everyone is stretched for time, so it has not yet happened. 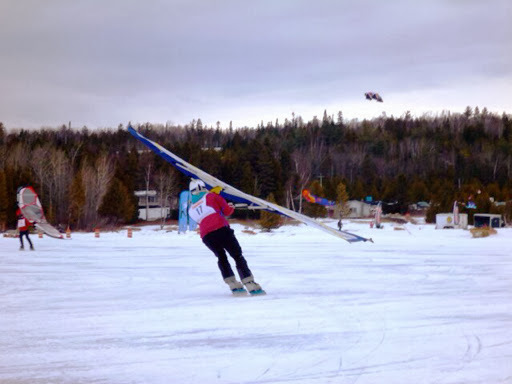 In essence , it is a downwind slalom that takes place on a 200x200 meter plowed track. 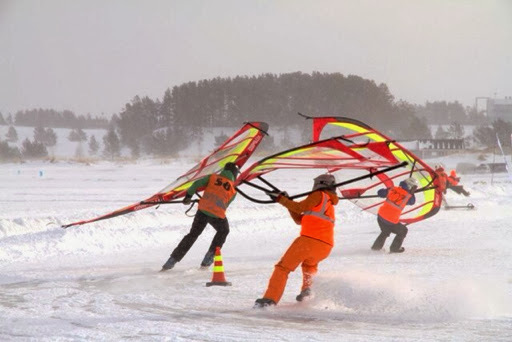 It is high action, does not require much wind, and as much fun as you can have with your pants on! 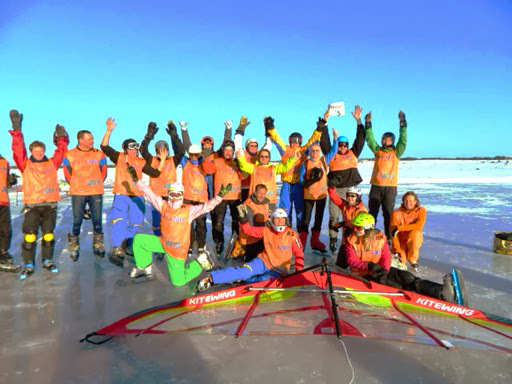 Originally made for Hiberna ice boards, it became a part of WISSA in 2008. Wings hit the start line in 2009 in Riga, and the rest is history. 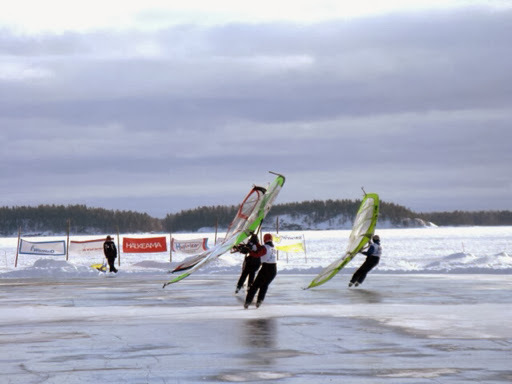 1] The sport of Windsurfing. Yes - it is true. The WISSA W.C. has outlasted every competition in the history of this waterborne sport. 3] Now hear this Johnny Heinekin. You were just getting potty trained when WISSA had the very first "traction kites" on the start line. Ya - the WISSA W.C. is the longest running competition in the history of the sport of Kite sailing! So there you have it: "Большое спасибо, друзья!" to our Russian friends for saving the day, and being the most excellent sailors ever!